CALZADOS FERNANDO GARCIA, S.L., in application of current legislation on the protection of personal data, informs that the personal data collected through the forms on the Website: ww.hipluspremium.com, are included in the automated files specific to users of the services of CALZADOS FERNANDO GARCIA, S.L. The collection and automated processing of personal data is intended to maintain the business relationship and the performance of information, training, advice and other activities of Calzados Fernando García, SL. These data will only be transferred to those entities that are necessary for the sole purpose of fulfilling the aforementioned purpose. CALZADOS FERNANDO GARCIA, S.L. takes the necessary measures to ensure the security, integrity and confidentiality of data in accordance with Regulation (EU) 2016/679 of the European Parliament and of the Council of 27 April 2016 on the protection of individuals with regard to the processing of personal data and on the free movement of such data. The user may at any time exercise the rights of access, opposition, rectification and cancellation recognised in the aforementioned Regulation (EU). The exercise of these rights may be carried out by the user himself by email to: sales@hipluspremium.com or at the following address: Clara Del Rey, 39 P-327, C.P. 28002 – Madrid (Madrid). The user declares that all the information provided by him is true and correct, and undertakes to keep it up to date, communicating the changes to CALZADOS FERNANDO GARCIA, S.L. In case of contracting the goods and services offered through ww.hipluspremium.com, to maintain the contractual relationship, as well as the management, administration, information, provision and improvement of the service. Sending requested information through the forms available at ww.hipluspremium.com. Sending newsletters, as well as commercial communications of promotions and/or advertising from ww.hiplus.com and the sector. We remind you that you may object to the sending of commercial communications by any means and at any time by sending an e-mail to the address indicated above. The fields of these records are mandatory, and it is impossible to carry out the purposes expressed if these data are not provided. How long is the personal data collected stored? The personal data provided will be retained for as long as the business relationship is maintained or you do not request its deletion and for as long as legal liability for the services provided may arise. The request for information and/or the contracting of the services of CALZADOS FERNANDO GARCIA, S.L., whose terms and conditions will be made available to you in any case, prior to any eventual contracting. If you do not provide us with your details or if you do so in an erroneous or incomplete manner, we will not be able to attend to your request, and it will be completely impossible to provide you with the requested information or to carry out the contracting of the services. The data will not be communicated to any third party outside of CALZADOS FERNANDO GARCIA, S.L., unless legally obliged to do so. Those in charge of processing contracted data have committed to compliance with the normative provisions, applicable in terms of data protection. In the cases in which the user includes files with personal data in the shared hosting servers, CALZADOS FERNANDO GARCIA, S.L. is not responsible for the user’s failure to comply with the RGPD. CALZADOS FERNANDO GARCIA, S.L. informs that, as a data hosting service provider and by virtue of the provisions of Law 34/2002 of 11 July on Information Society Services and Electronic Commerce (LSSI), retains for a maximum period of 12 months the information necessary to identify the origin of the data hosted and the time at which the service was started. The retention of this data does not affect the secrecy of communications and may only be used in the context of a criminal investigation or for the safeguarding of public security, and may be made available to judges and/or courts or to the Ministry that so requires. The communication of data to the Forces and Bodies of the State shall be carried out in accordance with the provisions of the regulations on the protection of personal data. CALZADOS FERNANDO GARCIA, S.L. is the owner of all copyrights, intellectual and industrial property rights, “know how” and all other rights related to the contents of the ww.hiplus.com website and the services offered therein, as well as the programs necessary for its implementation and related information. 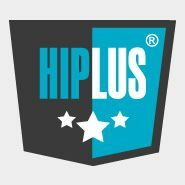 No part of the contents of the ww.hipluspremium.com website may be reproduced, published and/or used in any way other than for private purposes without prior written consent. The user must respect the programs of third parties made available by CALZADOS FERNANDO GARCIA, S.L., even if they are free of charge and/or publicly available. CALZADOS FERNANDO GARCIA, S.L. has the necessary exploitation rights and intellectual property rights to the software. The user does not acquire any right or license for the contracted service, on the software necessary for the provision of the service, nor on the technical information for monitoring the service, except for the rights and licenses necessary for the performance of the contracted services and only for the duration of the same. For any action that exceeds the fulfillment of the contract, the user will need written authorization on the part of CALZADOS FERNANDO GARCIA, S.L., being prohibited to the user to accede, to modify, to visualize the configuration, structure and files of the servers property of CALZADOS FERNANDO GARCIA, S.L., assuming the civil and penal responsibility derived from any incident that could be produced in the servers and systems of security as direct consequence of a negligent or malicious action on his part. -Any use that is contrary to Spanish law or that infringes the rights of third parties. -The publication or transmission of any content that, in the opinion of CALZADOS FERNANDO GARCIA, S.L., is violent, obscene, abusive, illegal, racial, xenophobic or defamatory. -The cracks, serial numbers of programs or any other content that violates the intellectual property rights of others. -The collection and/or use of personal data of other users without their express consent or in contravention of Regulation (EU) 2016/679 of the European Parliament and of the Council of 27 April 2016 on the protection of individuals with regard to the processing of personal data and on the free movement of such data. -The use of the domain’s mail server and e-mail addresses to send spam. The user has full responsibility for the content of its website, the information transmitted and stored, the hypertext links, the claims of third parties and legal actions in reference to intellectual property, third party rights and protection of minors. The user is responsible for the laws and regulations in force and the rules concerning the operation of the online service, e-commerce, copyright, maintenance of public order, as well as universal principles of Internet use. The user will indemnify CALZADOS FERNANDO GARCIA, S.L. for the expenses generated by the imputation of FERNANDO GARCIA FOOTWEARS, S.L. in any case for which the user is responsible, including legal fees and expenses, even in the case of a non-definitive court decision. CALZADOS FERNANDO GARCIA, S.L. makes backup copies of the contents hosted on its servers, however it is not responsible for the loss or accidental deletion of data by users. Likewise, it does not guarantee the total replacement of the data deleted by the users, as the said data could have been deleted and/or modified during the period of time elapsed since the last backup. The services offered, except for the specific backup services, do not include the replacement of the contents stored in the backup copies made by CALZADOS FERNANDO GARCIA, S.L., when this loss is attributable to the user; in this case, a rate will be determined according to the complexity and volume of the recovery, always with the user’s prior acceptance. The replacement of deleted data is only included in the price of the service when the loss of the content is due to causes attributable to CALZADOS FERNANDO GARCIA, S.L.. In application of the LSSI. CALZADOS FERNANDO GARCIA, S.L. not send advertising or promotional communications by electronic mail or other equivalent electronic means of communication that have not been previously requested or expressly authorized by the recipients of such communications. In the case of users with whom there is a prior contractual relationship, CALZADOS FERNANDO GARCIA, S.L. is authorised to send commercial communications regarding products or services of Calzado Fernando García, S.L. that are similar to those initially contracted with the client. In any case, the user, after proving his identity, may request that no further commercial information be sent to him through the Customer Service channels.